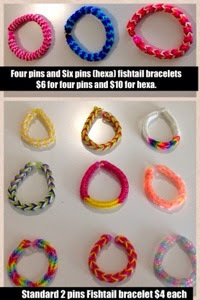 The children (and on some occasions, mummy too) have been going through a rainbow looming craze for many months now. 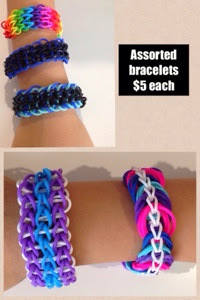 Recently a good friend who is also blogs on www.mummyweeblog.com, joined a group of blogging mums in a charity drive to Looming for Club Rainbow and I thought it is a wonderful opportunity to do something good with all those rainbow looms bands and bracelets that we have! I spoke to the children about it and they were quite excited. The girl was initially unwilling to part with some of the more difficult pieces, especially the hamster however, after some explanation about how giving those up could help the children beneficiaries of Club Rainbow, she opened up her heart and told us she would like to give those to be sold for the charity but also would like to make more for the charity drive. Here's what Club Rainbow is about, taken from their website. "Established in 1992, Club Rainbow (Singapore) is a registered charity committed to helping children and youths suffering from a range of chronic and potentially life-threatening illnesses. The charity currently supports more than 600 children, youths and their families"
And so, it looks like we are set to participate! 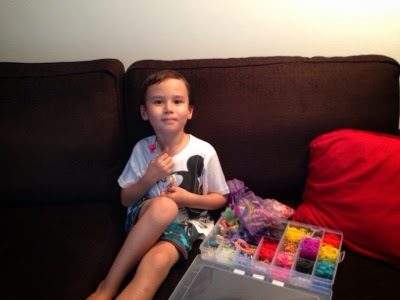 And to make sure that the bands are safe, I am making sure that all the bands used are original Rainbow Loom bands. 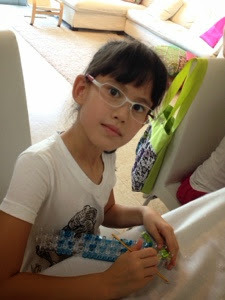 The girl looming away at a fun class for kids some time back. The boy all excited to start looming for Club Rainbow! And so, after sorting through the bands, these are what we would make for sale. 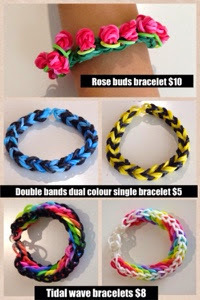 For all designs, it will be custom made orders whereby we would create the bracelets according to the colours you prefer. 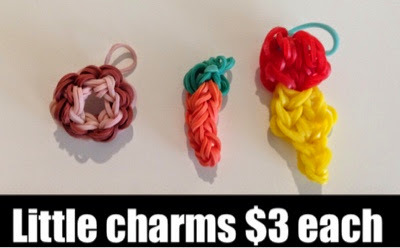 Rainbow Loom Bracelets and Charms for sale. All proceeds will go to Club Rainbow. Material cost will be entirely sponsored by us too. To order, comment here directly on the blog or on our facebook post. We could either mail it to you (free postage) or I might even be able to drop it off. Do support the children and also do a little part for Club Rainbow. Here are some other mummy bloggers supporting this drive. Do visit their blogs to see what they have available too! Thanks for joining us in this endeavour! Thanks Lyn! 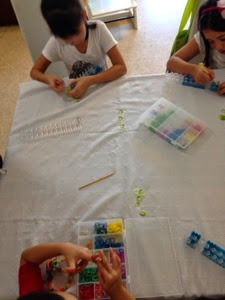 Kids loved being able to make more stuff with their rainbow looms as well.